An educational institution earns its reputation from the concerted efforts of teachers, staff and students. A Principal is the helmsman, ever in charge of his resources, which he orchestrates and marshals with the help of his colleagues and students. In a democratic set-up, he acts as the guardian spirit, who, though not a policy-maker, is given the liberty to use his discretion, presence of mind and empathy to utilise his resources to the full. It is not always easy; in fact, it is riddled with difficulties and pitfalls, but the onus is always on the Principal to keep a straight nose and deal with the snags, come whatever may. It is not always an enviable job, but there lie its challenges. For it is the prerogative of the Principal that he keeps his wits together and judges everything with a great deal of common sense and humanity. When I took over as Principal of City College of Commerce & Business Administration, I knew my priorities. I had earlier taught in the college, and was familiar with the life here. I was always intrigued and attracted by the apparent contrariety of the principles it stood for: vibrancy of life wedded to the sobriety of its heritage. For an institution bearing the weight of so many glorious years, it is imperative that the same tradition holds sway for years to come. In such a scenario the responsibility of a Principal to keep the momentum running is immense. The primary concern rests with the constant development of the students at different levels of academic and moral orientation. The college being a single-stream institution (devoted to commerce-related studies), students getting admitted here have a homogeneity of approach. Hence it should be the look-out of the college that it serves them in the best ways possible, which can be done only by disseminating quality education alongside inseminating social and moral values so that education is not single-tracked. City College of Commerce and Business Administration has been making endeavours to achieve a fine coalescence of the two modes. It is a difficult task no doubt, and given the multifarious infrastructural handicaps, there is every possibility that we will waver and fall short of the desired benchmark. However, an aspiring soul can never soar unless it is thwarted from time to time. After all, ‘A man’s reach should exceed his grasp/ Or what’s heaven for?’ So, the college will try its best to put its best foot forward on every occasion. 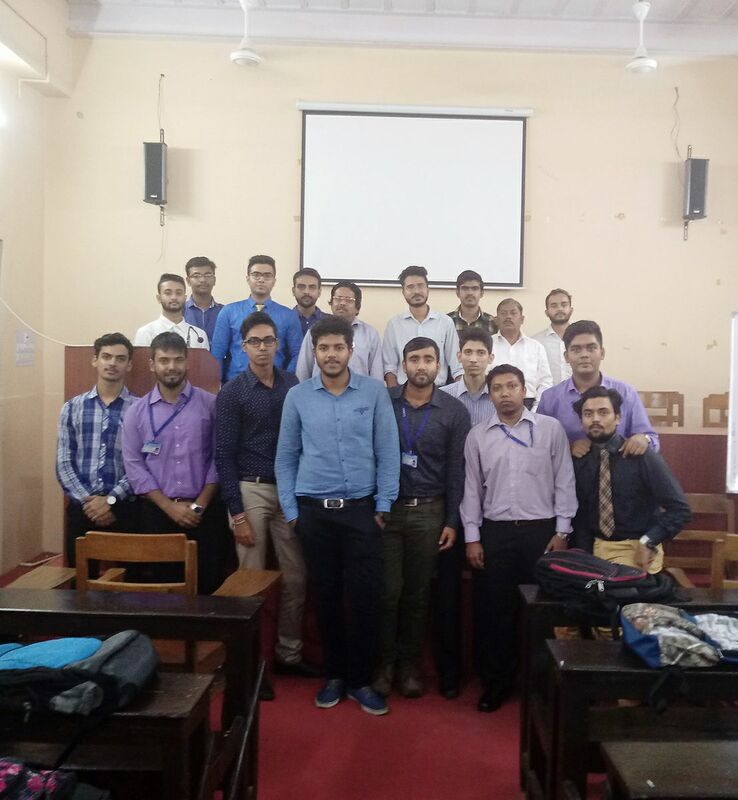 It is heartening that we have been able to organise career-oriented workshops involving big corporate houses, engage TCS and IBM to carry out recruitment drives in the campus, involve students to address seminars, introduce a certificate course on communicative English and Soft Skills and send students on educational visits to industrial houses. The college is undergoing a revamping process: the library has already been semi-automated and days are not far when some areas of the college will be fully automated. As Principal I have to keep in mind all these aspects and try to forge ahead with unflagging resolve and determination. With wonderful support from my learned colleagues, very competent support staff members and above all, students, I have every reason to feel confident.